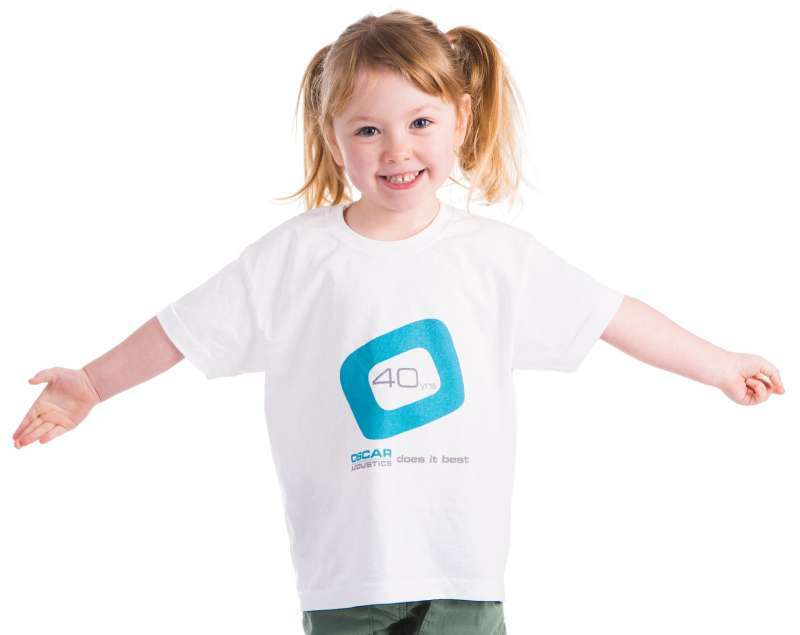 For the ultimate soundproofing solution, use in conjunction with the Oscar Iso-Mount space saving acoustic hanger. Typically used as the cavity filler in walls or between floors either in conventional rigid construction or in isolated systems e.g. SonaCel for higher performance (see SonaCel product page). 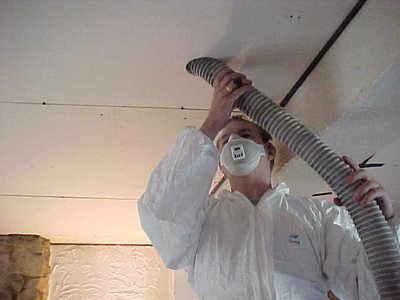 Celbar cavity fill insulation can either be sprayed into the cavity before the void is closed OR where a void is already closed it is blown by hose through holes to improve the acoustic insulation of walls and/or ceilings. When two layers of plasterboard are used, the Celbar cavity fill insulation is blown in before the second layer is fitted. Holiday Inn, Sheraton and Intercontinental Hotels use Celbar cellulose insulation to ensure client comfort. Consider a wooden rod versus a glass rod over a heat source. The glass rod conducts heat readily, the wooden rod doesn't. Traditional mineral wool insulation is a mass of small glass rods, additional insulating power is lost when it is compressed and it is umcomfortable to work with. 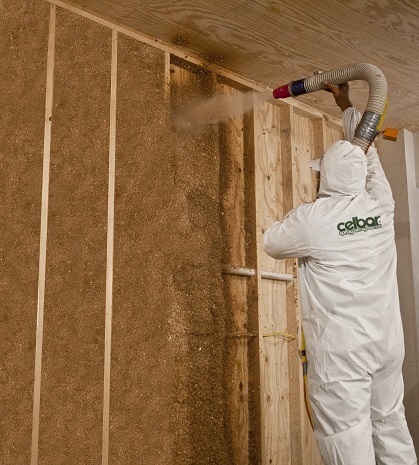 There are no known serious risks to health associated with Celbar recycled acoustic therma insulation. It is non-carcinogenic and any small release of fibre during installation or subsequent maintenance work is not hazardous or considered a ‘Health and Safety’ risk. Celbar cavity fill insulation is not subject to legislation applicable to mineral or vitrified fibre. As an added bonus, Celbar cavity fill insulation is non-itchy! The fibre is organic cellulose derived entirely from recycled macerated paper and treated with a borax compound to protect against fungus, insects and rodents. It also has fire protection built in. Celbar cavity fill insulation has excellent thermal resistance and provides a high degree of thermal insulation. Recycled material and a low manufacturing energy requirement combine to produce probably the most environmentally friendly material used in building construction, low CO2.